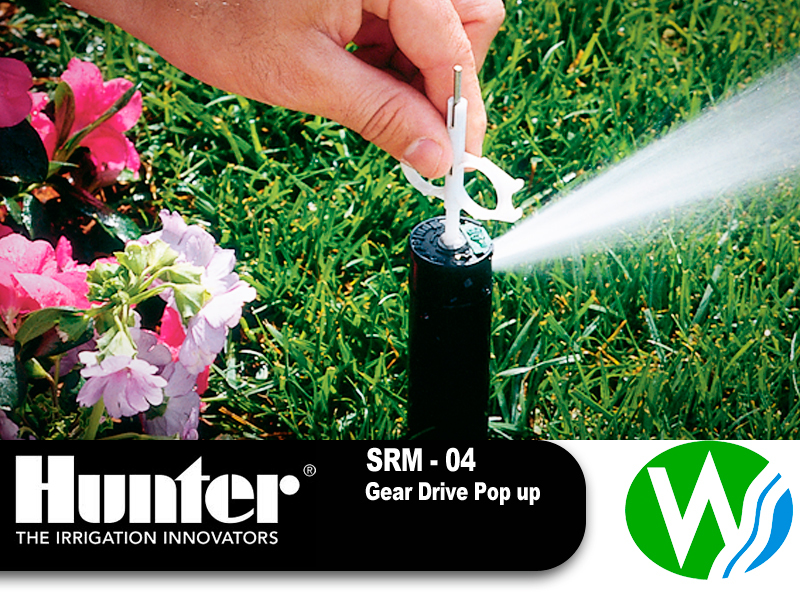 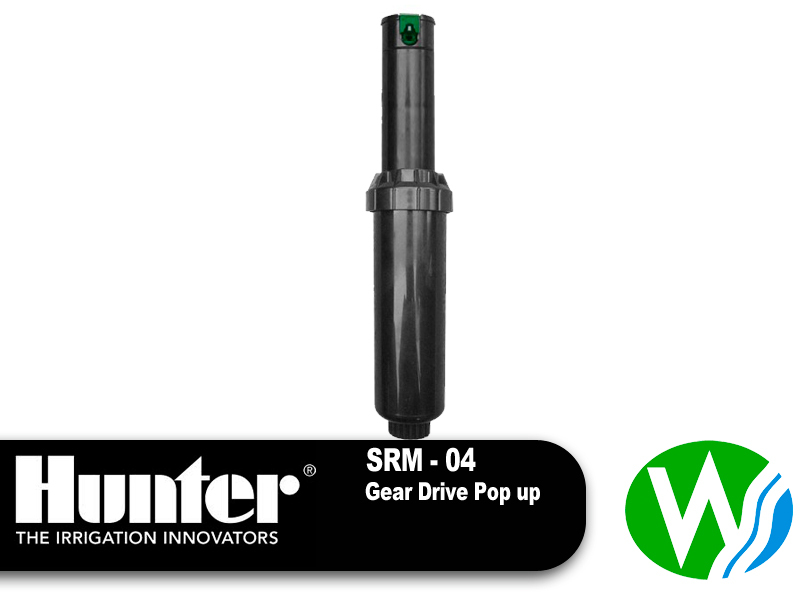 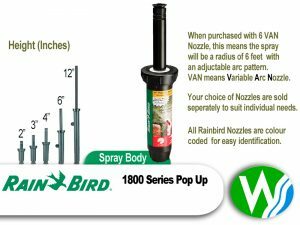 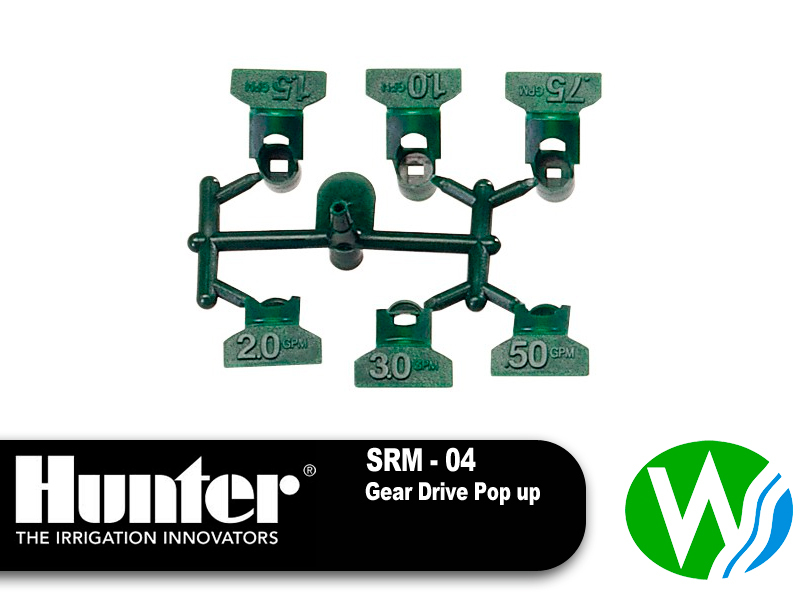 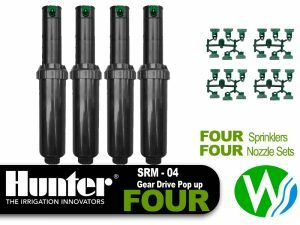 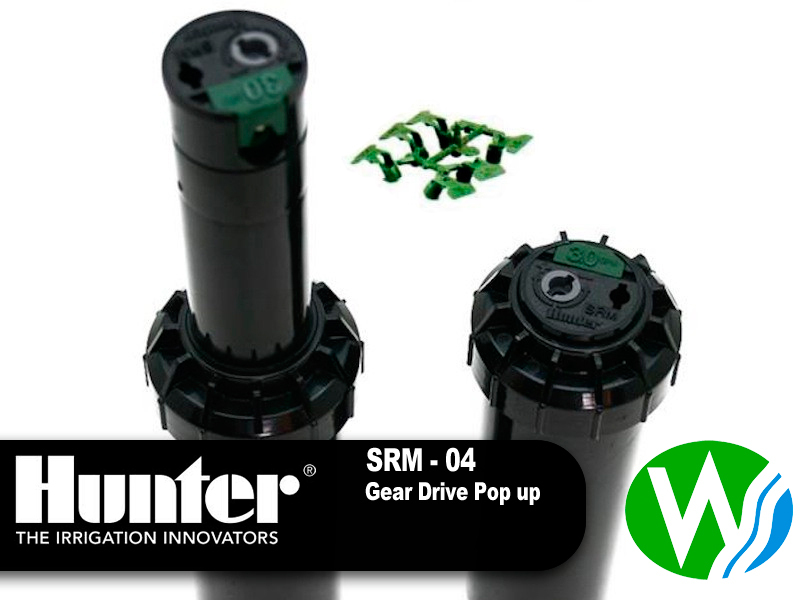 The Hunter SRM Gear Drive Pop Up Sprinkler is Hunter’s shortest-range rotor, and was designed to offer a convenient and efficient alternative to spray heads. 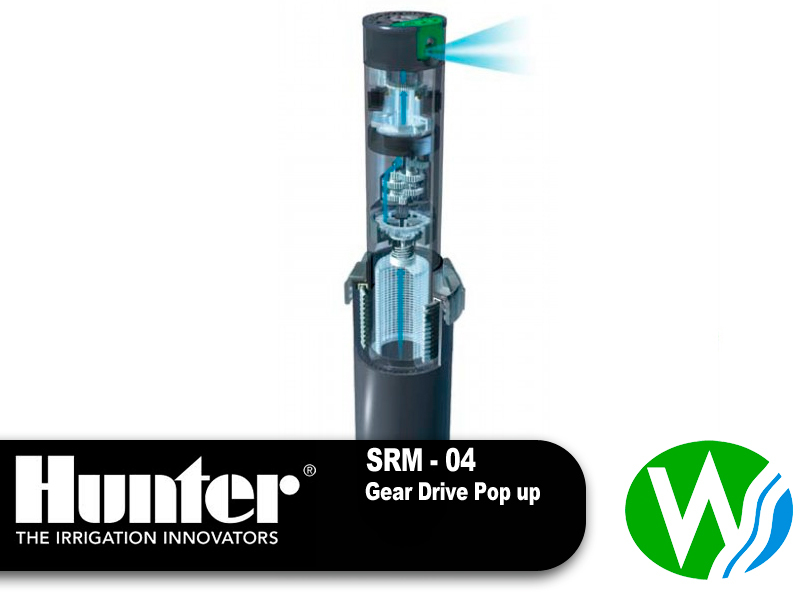 It is capable of working in tandem with larger rotors to combine big and small areas in a single zone. 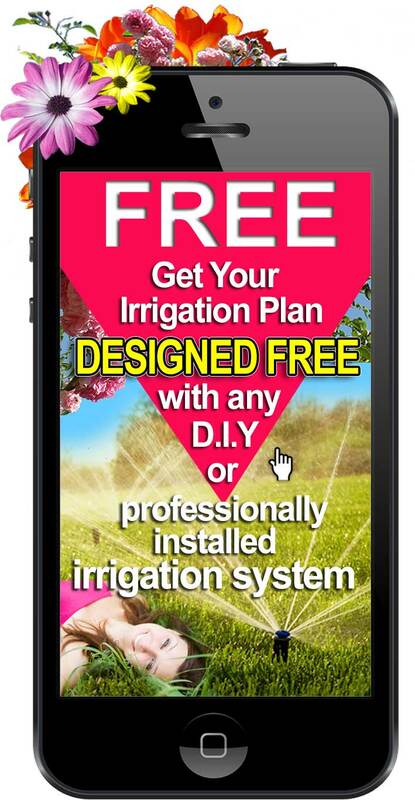 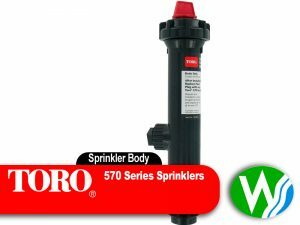 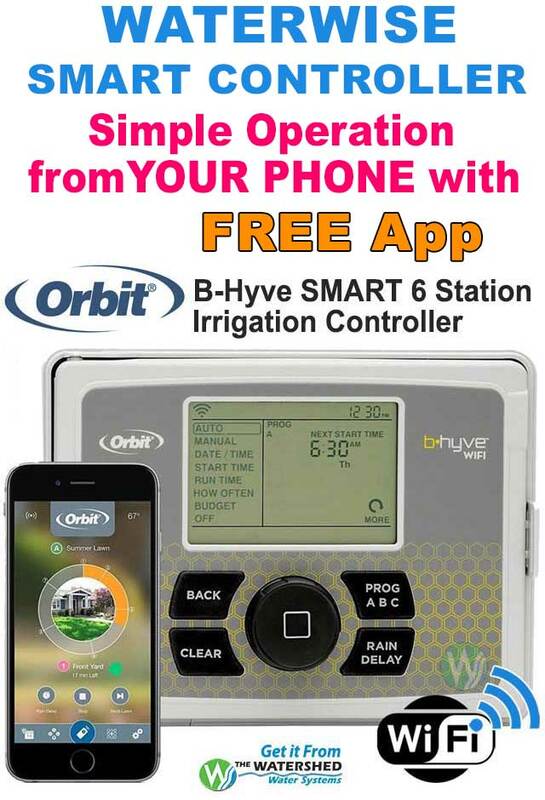 Utilizing the SRM where appropriate results in fewer sprinklers performing more efficient work at a more economical price. 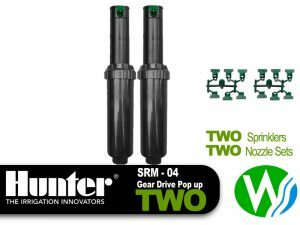 The SRM features a rack of six water-efficient nozzles, all of which can be easily identified by its flow rates and installed and changed quickly and easily. 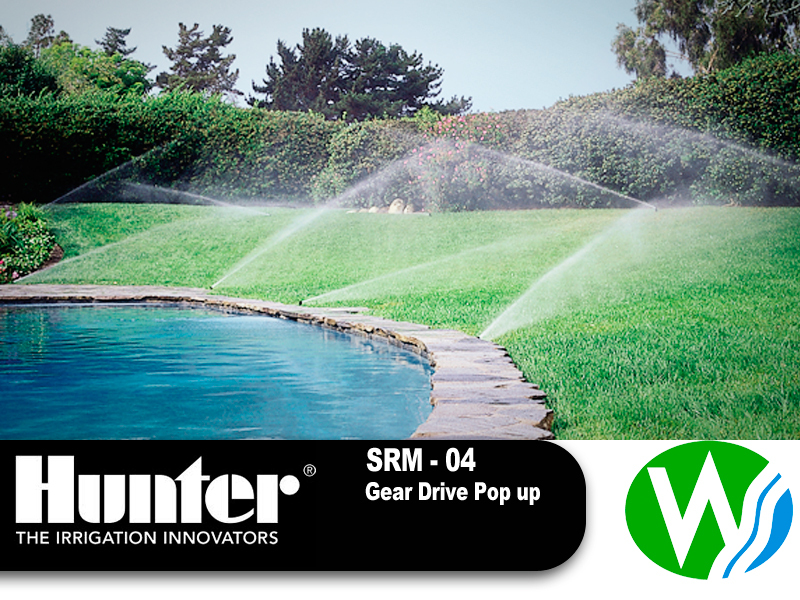 This versatile rotor also includes a radius adjustment feature that fine-tunes the spray to keep water off driveways, walks, and other non-landscaped surfaces. 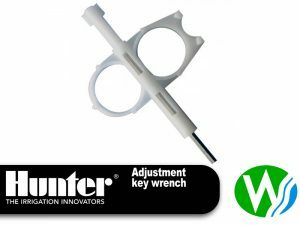 A Standard that Has Yet to be Matched. 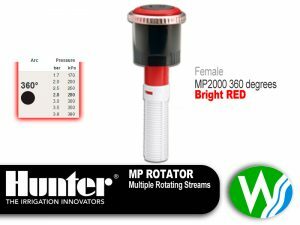 Hunter made its reputation on the quality, reliability and innovative features found in its rotary sprinkler line and continues to set the benchmark by which other manufacturer’s rotors are judged.